Nine miles north of the Colorado State Capitol sits the beautiful city of Westminster. This great Denver suburb was once home to thousands of buffalo and antelope. Arapahos roamed the region hunting these animals until pioneers discovered gold in the nearby South Platte River Valley in the 1850s. Settlers soon followed and began planting apple orchards and wheat. The buffalo, apples and grain fields are gone, but Westminster is now a thriving town of 106,000 that still attracts new residents. A Westminster real estate agent can tell you more about this city’s history. Along with the area’s diverse history, Westminster CO Real Estate offers recreational areas designed to reflect a variety of community interests. Almost 30 year ago owners of Westminster homes voted for a sales tax to fund construction of city parks and open areas within the community. Residents now enjoy 65 city parks with over 2,012 acres. Westminster home buyers will find these parks offer sports fields, playgrounds, picnicking areas, walking trails, swimming, hockey centers, in-line skating and even dog parks. Single family homes for sale in Westminster CO stand near open spaces including thousands of acres of wilderness corridors that preserve wildlife habitat, protect water sources and offer 85 miles of hiking and biking trails. The Standley Lake Regional Park is another local recreational area that provides water fun, trails, picnicking and camping areas. Westminster real estate is available near this lovely park. Owners of Westminster homes will find plenty of historic places to enjoy. Visitors to the Bowles House Museum will enjoy touring a beautiful 1876 home built by Edward Bowles for his wife and nine kids. Other interesting Westminster places include the Butterfly Pavilion and Insect Center where visitors will find an indoor rain forest with over 1,000 live butterflies. Families searching for Westminster homes for sale may also enjoy interacting with the North Metro Arts Alliance. This wonderful community group sponsors free community concerts, children’s theater and a popular annual art show. Buying one of the homes for sale in Westminster will put your family near these activities. Other local attractions near Westminster properties include two award winning golf courses the Legacy Ridge and The Heritage at Westmore. Both offer luxurious amenities with breathtaking views of mountains and wetlands. Westminster residents will find a variety of area events to enjoy. Santa’s Shop Craft Faire gives young shoppers the chance to purchase handmade items for eight dollars or less. Families bring blankets and snacks to a Westminster city park for the free Movies in the Park series each summer. The Holy COW Stampede is a 5K and 10K Walk and Run that attracts hundreds of people to Westminster from across the region. For more information, call the Westminster Park Recreation Center at 303-460-9690. This great city's history, recreational areas, events and neighborhoods make it a wonderful place for families looking for single family home sales in Westminster CO. For more information call 303-658-2400. Westminster is also near Denver’s many attractions including shopping, pro sports and cultural events. A Westminster realtor can tell you more about this thriving city. 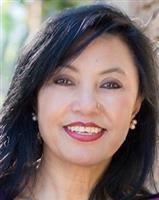 Contact Neelam Shrestha today to learn about all the single family homes for sale in Westminster CO and the surrounding areas!